LOCATION!!! NO DEED RESTRICTIONS! NO HOA FEES! 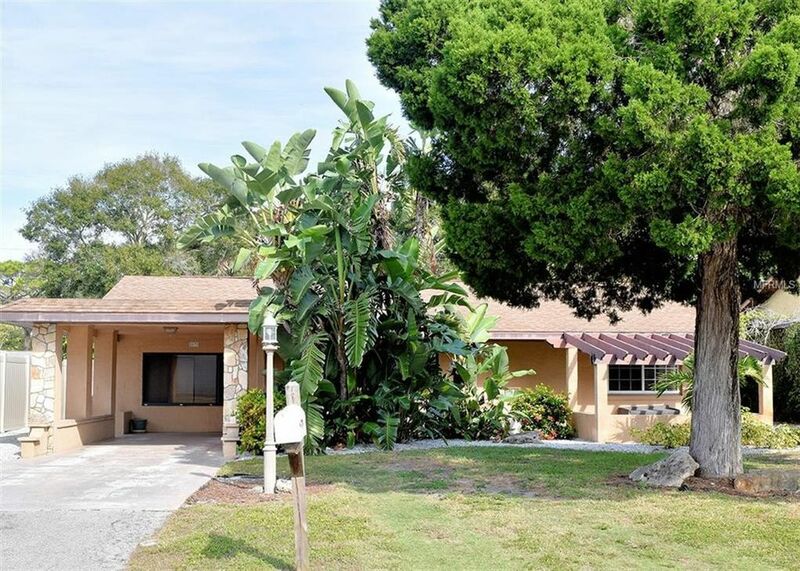 On a quiet street and so Close to SARASOTA MEMORIAL, close to DOWNTOWN, Darling 3 bedroom, 2 bath and a bonus room which could be an office, a nursery, an exercise room, a reading room...you choose. Architectural details... plaster cove molding and archways and Wood Burning FIREPLACE. Freshly painted, Saltillo tile throughout and newer carpet in one bedroom. Solid construction. NEWER, UPDATED KITCHEN with Granite countertops, and newer appliances. Outdoors has a HUGE backyard with screened lanai (spa inside lanai being sold As Is) and separate patio setting is perfect for entertaining. A SHED in the back has ELECTRIC running to it. You have to come inside to see and feel this home. Directions: North on Highway 41 between Siesta Drive and Webber Street to east on Goldenrod. House is on the left.